The influenza virus, otherwise known as flu, is an extremely common illness. An infectious virus, flu can easily spread through coughs and sneezes. To start, symptoms may seem similar to the common cold, however flu is produced by a separate group of viruses. Therefore, the symptoms of flu are much more intense and often last for a longer period of time. Our complete service includes a confidential consultation with our GMC registered doctor. Once you have selected your influenza treatment, you will be able to complete a quick doctor’s questionnaire. Our registered online doctor will review the answers given and, if suitable, will prescribe your selected medication. There is a £25 consultation fee for this, which is refunded together with any medication cost if your order is not approved. If you already have an NHS or private prescription, you can continue to select your flu medication online and send your prescription to our pharmacy. As soon as we receive your prescription, we will send your medication. For further information about the symptoms of flu and the influenza treatment that we provide, please click here. The flu virus is spread by infected people coughing and sneezing small droplets of fluid, usually within a metre of another person. It can also be spread by infected people touching you or if you touch infected hard surfaces, such as phones, handrails and door handles. You are susceptible to catching flu throughout the year, however the chances of catching influenza in the winter months dramatically increase. In turn, the influenza virus is frequently referred to as “seasonal flu”. The flu is highly infectious, therefore to prevent catching the illness, you should avoid those infected. We advise that if you have flu, you should stay off work until you have recovered. 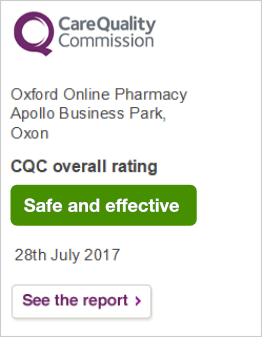 Here at Oxford Online Pharmacy, we provide medication that works to treat the influenza virus. Tamiflu is a medication used to block the effects of influenza. After being exposed to the virus or in close contact with a person who has the illness, Tamiflu must be taken within a few days of experiencing flu-like symptoms. How are you feeling after Freshers' Week? Should you go to work when you are sick?